Engage Your Team in Practice. Save Time. Win More Games! 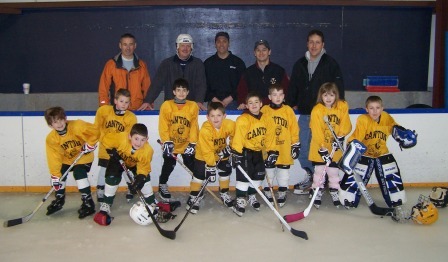 Since 2007, BestHockeyDrills.com has been the premier online publisher of ice hockey coaching information. Our mission is to help youth and high school coaches engage their players in practice, improve their team's skills, and achieve more success on the ice. Our product catalog includes more than a dozen best-selling resources, including our drill collections and pre-designed practice plans. We also offer online video clinics from some of the top hockey instructors in the world, including Peter Twist (Vancouver Canucks) and Mike Bracko (Institute for Hockey Research). Discover 36 fundamental drills for developing a top-notch youth hockey team! 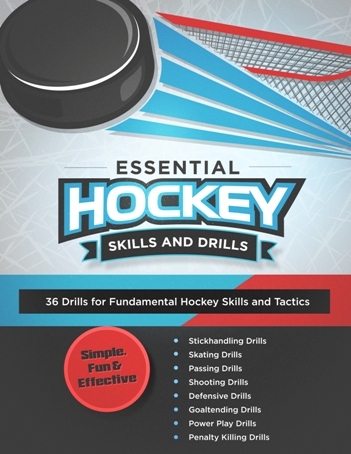 This ebook is jam-packed with simple, fun and effective practice ideas for stickhandling, skating, passing, shooting, defense, goaltending, power play and penalty killing. Engage your players, improve their skills and win more hockey games starting today!